When the weather starts to cool off, you might wake up on a chilly morning and find out that you need to turn the heater on in your home to heat it up. 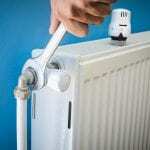 Sometimes, after the heater has not been turned on in a while, it will not work properly. It sometimes doesn’t even blow hot air, or it can even produce a funny burning smell that can cause some concern. If you have regular heating maintenance done on your furnace when it first starts to get cold, you can make sure your heater is working when you need it to. No more chilly mornings — you can have your home heat up to a comfortable temperature, so you can go about your day. Heating maintenance can be regularly scheduled with a professional heating and air company. It is a good idea to have heating maintenance done annually to make sure that your furnace is working properly and efficiently. Regular maintenance can include checking your furnace for any problems, checking to make sure all bolts and screws are tightened, filters are clean and unclogged, and to make sure that every part of the furnace is working like it should. When regular maintenance is done on your furnace, it will not only ensure that your furnace works when you need it to, but it can also save you from paying for expensive repairs in the future. When you have your furnace looked over once a year, they can find small problems and fix them before they become a big problem. Maintenance can also extend the life of your furnace, giving you more years before you have to pay to replace your heater. If you are interested in setting up heating maintenance for your home, contact us today at Air Kool Heat & Air. We can check your furnace and make sure you and your family stay warm all winter long.